​Marie was born and raised in Vancouver, BC and began her journey as a certified reflexologist over 35 years ago, when as a nurse she found that using medication was not always the best or only solution for most of her patients. Using the techniques she learned from basic reflexology, she was able to relax her patients and give them the opportunity to rest and begin to heal more effectively. Marie continued her practice as a nurse in maternity, geriatrics and orthopaedics and used reflexology as a tool for health and wellness within traditional medicine. She moved from hospital nursing to chairside and administration in the dental surgery field and spent 25 years managing three Oral & Maxillofacial Surgery clinics in the lower mainland. Her experience in managing multiple staff, surgeons and clinics has given her many skills in building her practice as a Certified Reflexologist. Since 2012 Marie has renewed her passion for learning and developing her love of reflexology by completing basic and advanced courses with the Pacific Institute of Reflexology and the Advanced Reflexology Institute. She completed the RABC Approved Practitioners Proficiency Exam in May of 2015. Marie is continuing her education daily by actively practicing Reflexology in North Vancouver, Port Coquitlam and Langley . Marie looks forward to participating on the RABC Board of Directors and hopes to contribute an informed voice on the matters at hand for the benefit of Reflexology as a whole. ​Chris Shirley is Director of the Pacific Institute of Reflexology, and has a professional background in counseling psychology. With a BA 1st class honors degree in Human Resources Development from York University , and two years post graduate training in counseling psychology at the University of Victoria (1975), Chris relinquished his career in counseling to promote, practice and teach reflexology in 1978. He commenced his studies in reflexology in 1977 with the late Laura Kennedy, chairperson of the education committee of the Reflexology Society of B.C. After studying with Laura he worked alongside her in an informal apprenticeship. In 1978 , Chris attended a seminar in the Ingham Method of Reflexology with Dwight Byers of the International Institute of Reflexology..
Chris served as President of the Reflexology Association of British Columbia from 1985 - 1987, and succeeded in having reflexology entered in the Yellow Pages under its own heading. In 1989 he was certified to teach the Reflexology Association of Canada 's courses which he taught until 1994. In 1990 he became the founding president of the British Columbia Holistic Healing Association . Chris conducted research at the British Columbia Institute of Technology in 1995 to evaluate the effects of reflexology on the conductivity of the peripheral nervous system. And in 1996, Chris changed the name of his practice to the Pacific Institute of Reflexology. Over the years Chris has attended seminars with many prominent international instructors: Foot Adjusting with podiatrist Dr. Harvey Lampell, Ear Reflexology with Bill Flocco, Reflexotherapy with Hanne Marquardt, Vertical Reflex Therapy with Lynne Booth, Ayurvedic Reflexology with Sharon Stathis, Advanced Reflexology Training with Anthony Porter and Hagar Basis, Cranial Sacral Reflexology with Martine Faure-Alderson, Round About the Spine with Dorthe Krogsgaard and Peter Lund Frandsen, and German New Medicine with John Theobald. Since 1990 Chris has developed and published Foot Reflexology, Hand Reflexology and Ear Reflexology charts, and produced an instructional DVD: Foot Reflexology: A Step-by-Step Guide. He also developed basic courses in hand and ear reflexology and advanced reflexology training courses for Professional Skills and Clinical Skills. 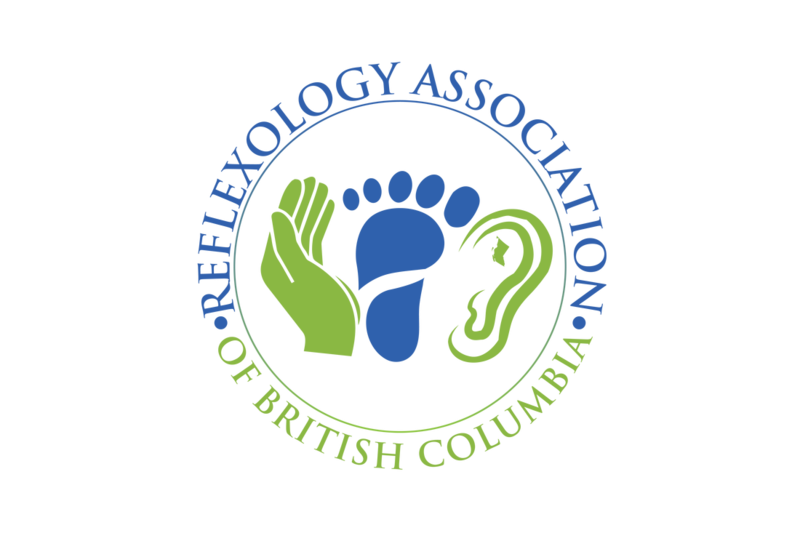 Currently, Chris serves his clients, teaches the regular program of basic and advanced reflexology courses in Vancouver, British Columbia, and, sponsors internationally acclaimed reflexology instructors. He also serves on the Reflexology Association of British Columbia board of directors as association treasurer and as a member of the Education Standards and Approval Committee , and, continues to expand his knowledge of reflexology by attending training with acknowledged masters in the field. ​Frances Birdsell, Reflexologist and Natural Health Practitioner, has owned and operated Viva Holistic Healing since 1997. She is a Practitioner and Instructor of foot, hand and ear Reflexology, offering ongoing courses in Reflexology and other holistic healing methods in Terrace and across the northwest. Frances holds a Bachelor of Arts in Psychology and Sociology, and has worked in health research for a number of years. She arrived in Terrace in 1978, launching a career in community development, running the Terrace Women's Centre. Frances received her Doctorate of Naturopathic Medicine from the Instituto Naturista in Guatemala in 1997, as well as a Masters in Kai Igaku / La Medicina Agradable, utilizing the widely used method of applied kinesiology, called the Examen Bioenergetico (Bioenergy Exam) from COHNAN, in Leon, Nicaragua. Through Northwest Development Education, Frances has worked for global awareness with OXFAM and CUSO. She is also an accredited Spiritual Healer utilizing a number of techniques including Reiki, Prana, Polarity, Chakra Balancing, Gemstone, Monadic and Emerald Fire.